​YOU CAN INCREASE YOUR HAPPINESS IN JUST 10 MINUTES A DAY AND LIVE AN EXTRAORDINARY LIFE RIGHT NOW! AVAILABLE IN 4 FORMATS! PAPERBACK, eBOOK, AUDIO AND NOW eLEARNING PROGRAM. Your choice! 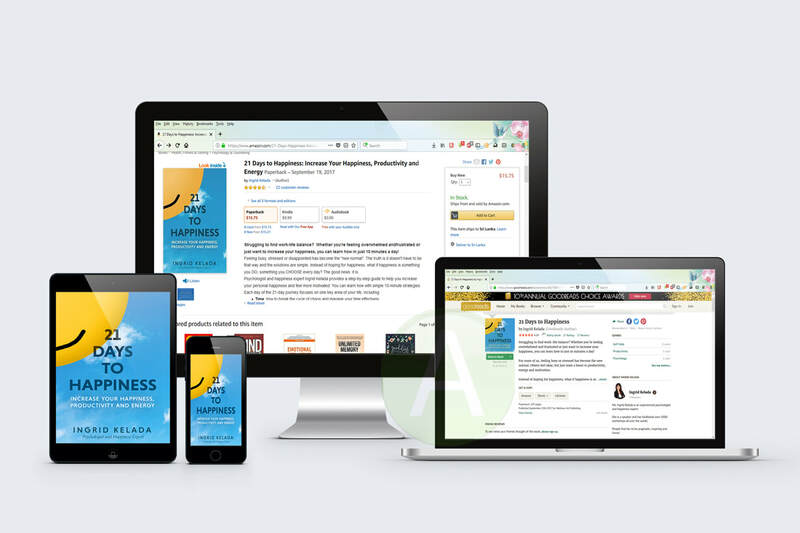 Paperback, Audiobook, eBook and now eLearning! ​This book gives you the steps to improve all aspects of your life : relationships, health, work, finances, energy and more! NEW!! Improve Your Happiness with our Online Training Now! Who doesn't have 10 minutes a day to increase their happiness? With this new interactive video online training, you will go through the winning principles and tips in a fun, dynamic way that will help you improve your life right away! ​​If you are not happier, we will give you your money back, no questions asked! Practical: These 10 minutes video sessions will give you practical tips and advice that you can apply right away. Interactive: Each day contains activities, videos and resources to aid you in effectively and easily developing habits for greater happiness, energy and productivity. 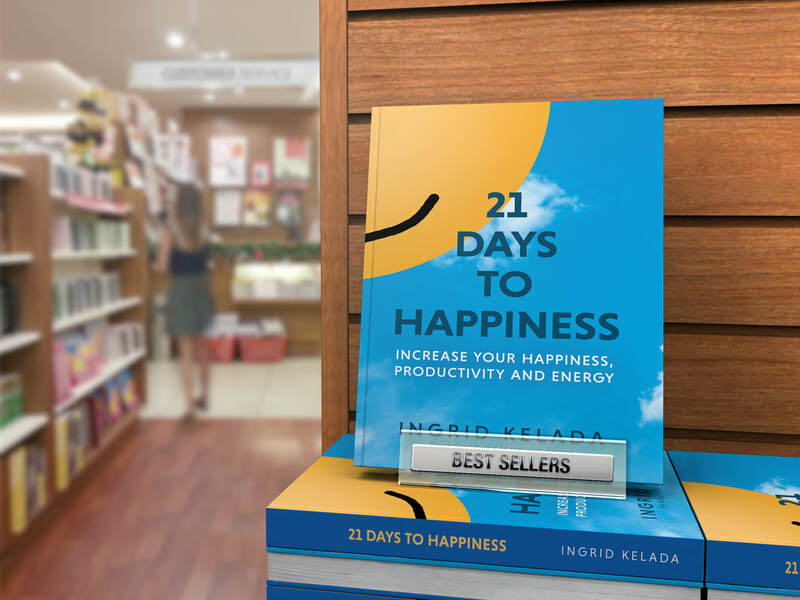 Science Based: Author Ingrid Kelada has studied happiness for more than ten years and has over twenty-five years experience as a psychologist. We will share your results with you right away. There is no right or wrong, no good or bad...no matter your score, it can always go UP. Are you feeling overwhelmed, tired or burned out? ​Or, do you just want to be happier and take things to the next level? You can learn how in just 10 minutes a day! ​For some of us, feeling busy or stressed has become the new normal. Others feel good, but just want a boost to productivity, energy and motivation. Time: how to break the cycle of chaos and manage your time effectively. Body Language: exploring the surprising links between body language and happiness. Relationships: how to make the most of the number one predictor of happiness. Work: how to use your strengths and talents so that you are engaged and motivated. Money: what you should spend your money on to feel most satisfied. Happiness is a choice. A daily decision to choose happy can be easy, fun and rewarding. 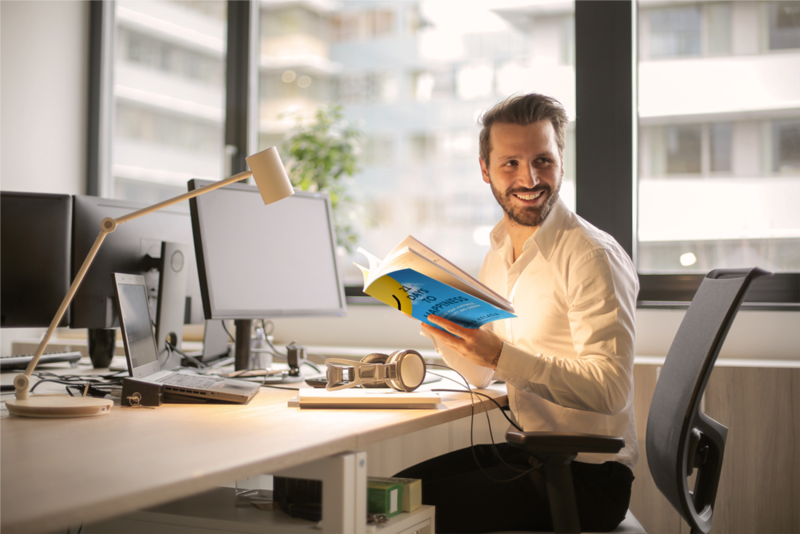 With this approach, in just a few minutes per day, you can practice one new happiness habit, add resources to your arsenal, and jot down your notes in the journal section. Now an Amazon Best Seller - Watch the trailer! Ingrid Kelada is a psychologist and happiness expert with over 25 years of experience in changing lives. She works in Montreal, Quebec, Canada and has facilitated more than 1000 workshops and conferences worldwide. She is pragmatic, passionate, dynamic and funny. Take this 3-week journey with her! Sign up for my Happiness Tips and get a FREE BONUS "75 Ideas for Acts of Kindness"
DO YOU HAVE 10 MINUTES? START TODAY!